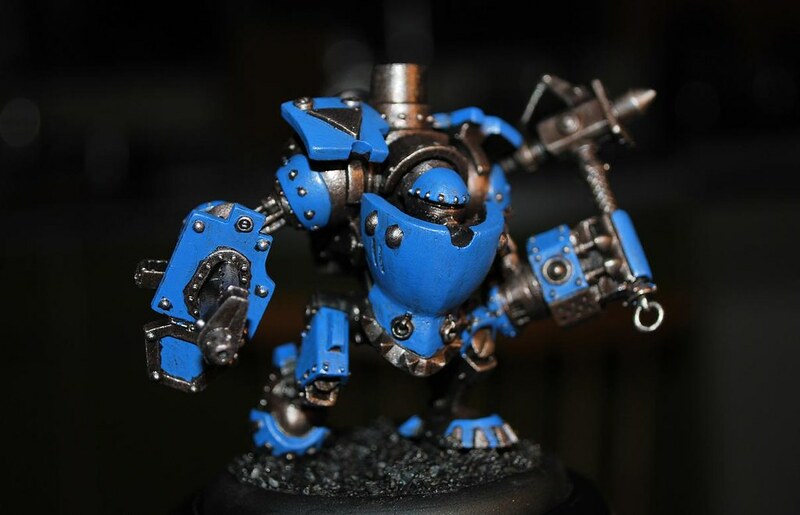 MiniKingdom: Warmachine Commission, painting continues. 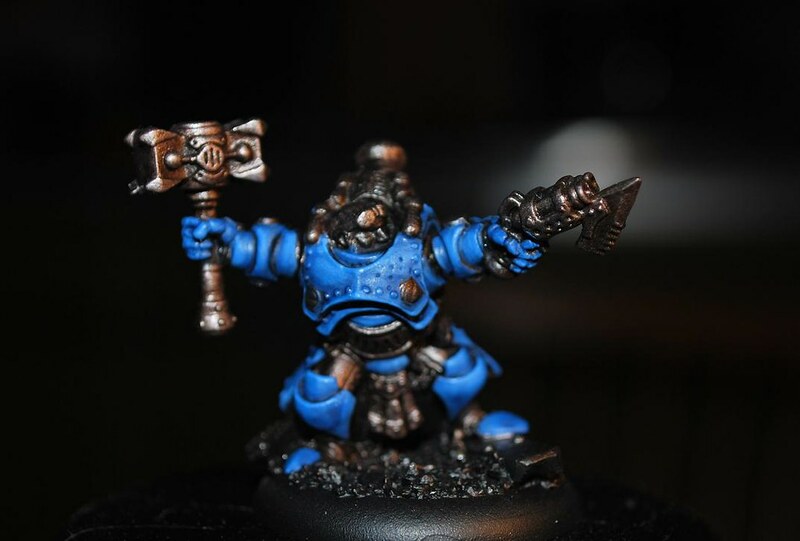 Blue has now been completed for this army so I though I would catch up with the painting guide and more pics. 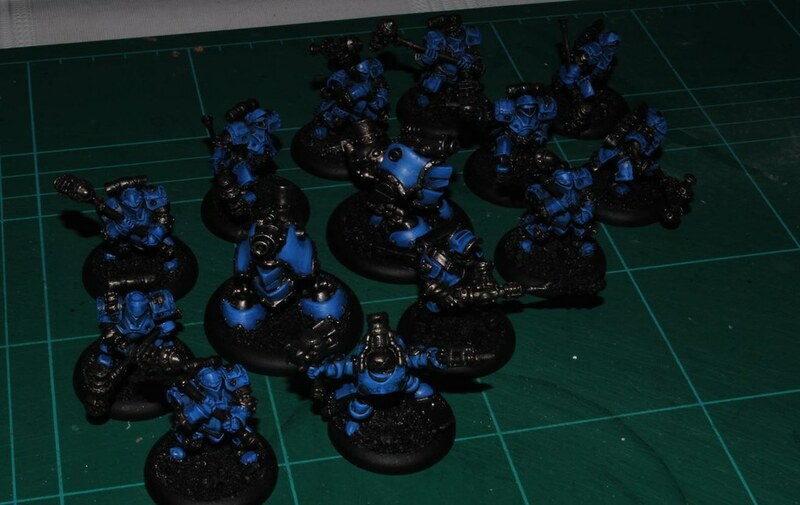 Firstly I should recap on the production of the metals, as normal using all Foundry paints. 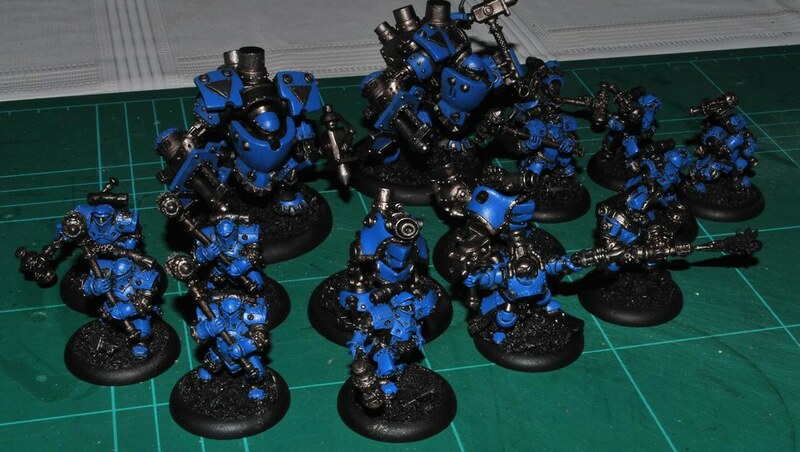 So above you get a closer look at the metals and the panels and sections picked out on the Warjacks and Gorten. Left you have the completed base coat. Sky Blue Shade this was a very deliberate and bold highlight picking out most of the larger areas and all the edges. And the final highlight using Sky Blue seen below on Gorten picking out the edges once again. 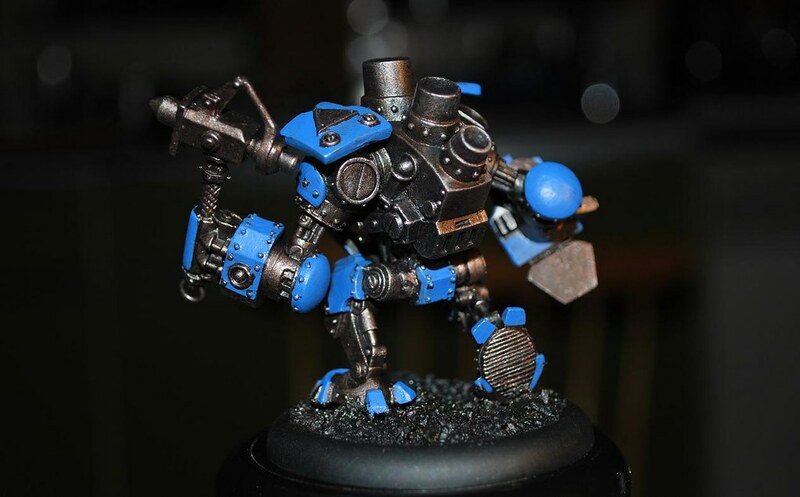 This was finished off with a quick wash of GW Asurmen Blue to smooth things out and to add shadow definition. Sorry for some of the darker images, taken throughout the day. Next step, pick out all the other components, the leathers, the skin, markings and details. 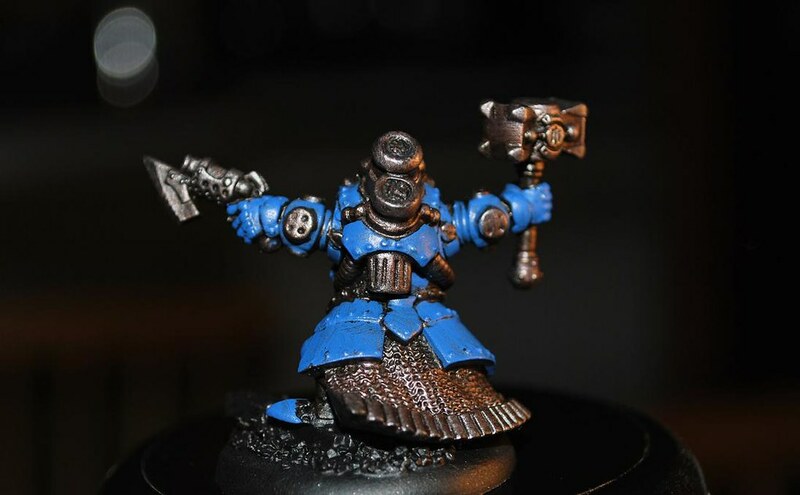 Then lastly a little weathering of the blue armor and some shiny highlights for the metals.